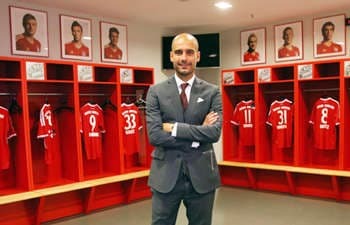 Now there are 13 games standing between Bayern Munchen and history so Playing The Long Ball investigates the prospect of Pep Guardiola’s team becoming the first to go through a complete German Bundesliga season without losing a match. Under first Jupp Heynckes and now Guardiola, Bayern Munchen has strung together a sequence of 46 German Bundesliga games without a loss since Leverkusen midfielder Sidney Sam’s late goal lowered FC Hollywood’s colours in Munich 16 months ago. Had Bayern held on for a 1-1 home against Leverkusen it would have a live unbeaten run of 60 matches currently. 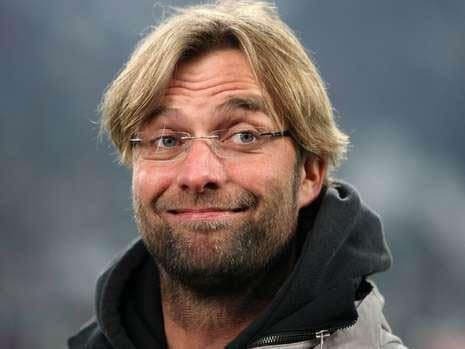 Never has a German Bundesliga side recorded an undefeated campaign. Last season Bayern Munchen, for the second time in its history, lost only one game, its aforementioned match versus Leverkusen. BetVictor is offering odds of 1.91 that Bayern loses one of its remaining 13 top-flight matches, while Sky Bet is offering odds of 2.25 that FC Hollywood makes history and avoids defeat for the rest of the term. Before one delves into Bayern Munchen’s remaining German Bundesliga fixtures it is worth doing some mathematics. The odds of 2.25 that Sky Bet is offering about Bayern remaining unbeaten all season long is the equivalent of backing the champion-elect at odds of 1.065 on the double-chance market in every one of its 13 games. To put that equation in some context, Bayern is available at odds of 1.07 with Bet365 not to lose against Hannover at the HDI-Arena on Sunday. Of Bayern Munchen’s 13 German Bundesliga matches to go, six of them will take place in Munich and seven of them will be played on opposition territory. In chronological order, the 13 dates that Bayern has to fulfil between now and 10 May are: Hannover (away), Schalke (home), Wolfsburg (away), Leverkusen (home), Mainz (away), Hertha (away), Hoffenheim (home), Augsburg (away), Dortmund (home), Braunschweig (away), Bremen (home), Hamburg (away) and Stuttgart (home). Bayern Munchen’s prospects of going through an entire German Bundesliga term without losing a game are enhanced by the fact that its toughest matches are out of the way already. Bayern’s highest-ranked away foes are Wolfsburg (fifth), Mainz (seventh) and Hertha (eighth), with FC Hollywood putting out the welcome mat for Leverkusen (second), Dortmund (third) and Schalke (fourth) in Munich. Realistically, Bayern Munchen’s bid for German Bundesliga immortality will probably boil down to how it fares in the UEFA Champions League. The further that Bayern progresses in the UEFA Champions League, the less likely it is to remain undefeated in the German Bundesliga. It is no coincidence that Bayern’s last German Bundesliga loss came straight after a UEFA Champions League road trip. And the two German Bundesliga games that Bayern has drawn this season have been close to major European matches. Bayern drew 1-1 at Freiburg in a rearranged German Bundesliga game immediately prior to the UEFA Super Cup showcase and FC Hollywood drew 1-1 at Leverkusen just a few days following its UEFA Champions League clash versus Manchester City at the Etihad Stadium. If Bayern Munchen reaches the UEFA Champions League final it will play nine of its remaining 13 German Bundesliga matches in close proximity to a European game. Bayern’s four German Bundesliga matches that would not border a UEFA Champions League game would be those against Schalke (home), Mainz (away), Hertha (away) and Stuttgart (home). It really is not as simple as looking at Bayern’s domestic fixtures alone. One cannot see Bayern Munchen boss Guardiola resting players from German Bundesliga matches for UEFA Champions League games unless he has no other choice. Guardiola is a manager who has a great appreciation of football’s history so he is the type of guy who will want to see Bayern set a new mark if it can do so without jeopardising its other objectives. Bayern Munchen is a wonderful team and German Bundesliga history is within its grasp. One could construct an equally good case for both sides of the betting equation but, if one had to have a punt, one would be inclined to back Bayern at odds of 2.25 to stay unbeaten. Bayern’s fixture list does lend itself to FC Hollywood remaining undefeated.